This afternoon, I'll catch the 16.00 flight to Oslo, where I will spend a few days celebrating the New Year with Elina and her friends. She is Swedish, but she moved to Oslo for a her job about a year ago. Soon she'll move back to Stockholm, so this New Year's Party will be the last chance to visit her in Norway before she moves back. Norwegians usually know how to throw a good party, but just in case, I'll be bringing along some (relatively) inexpensive beverages from Sweden. 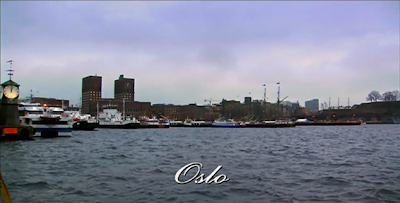 Speaking of Norway, I just watched the part about Christmas in Norway from Rick Steve's European Christmas. The show is available as a free download via iTunes, so check it out!